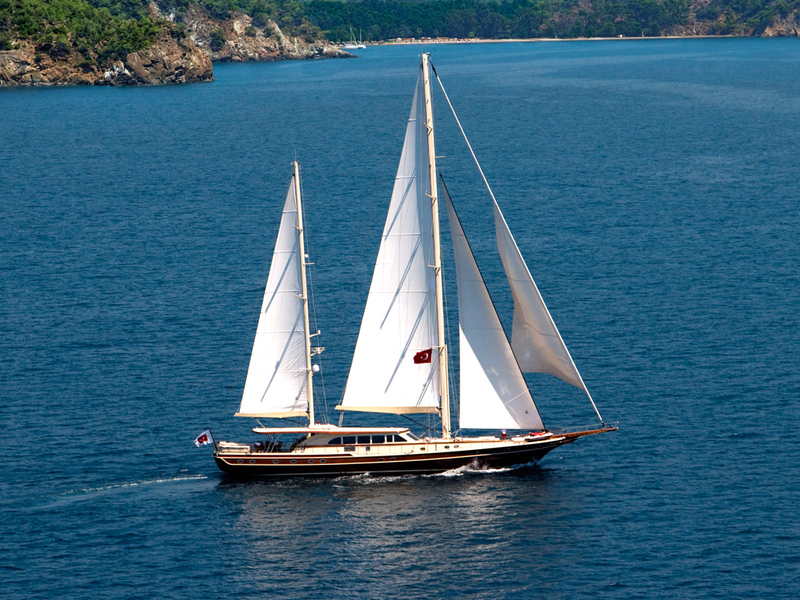 Sailing yacht Daima is a large Turkish Gullet style superyacht which was launched by Arkin Pruva yacht builders in 2009. 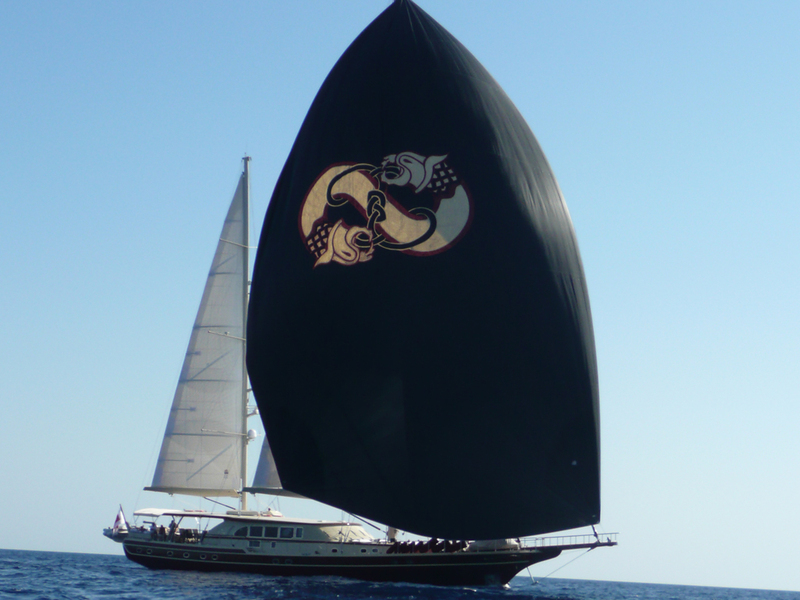 Superyacht Daima is 37.50m (123') in length and she was built from wood in traditional style. 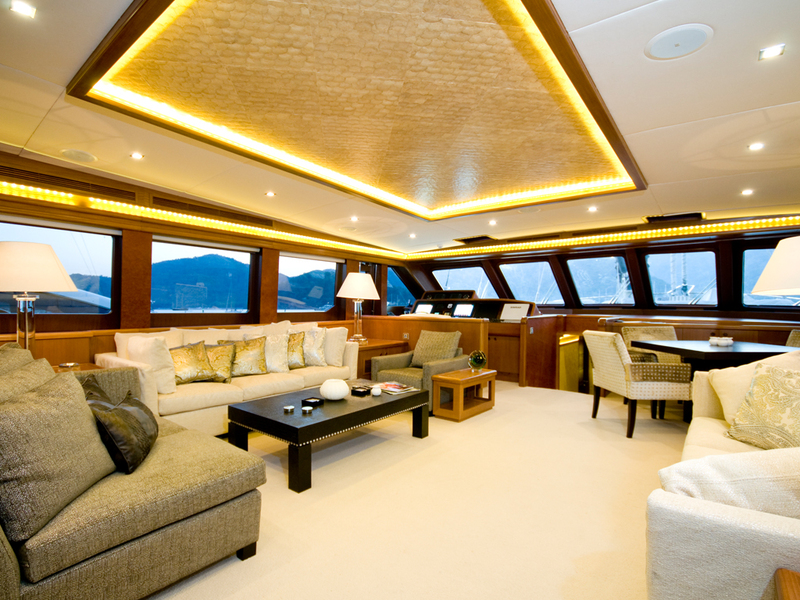 Her interior design has the character of this type of yacht as well as a modern and comfortable ambience. 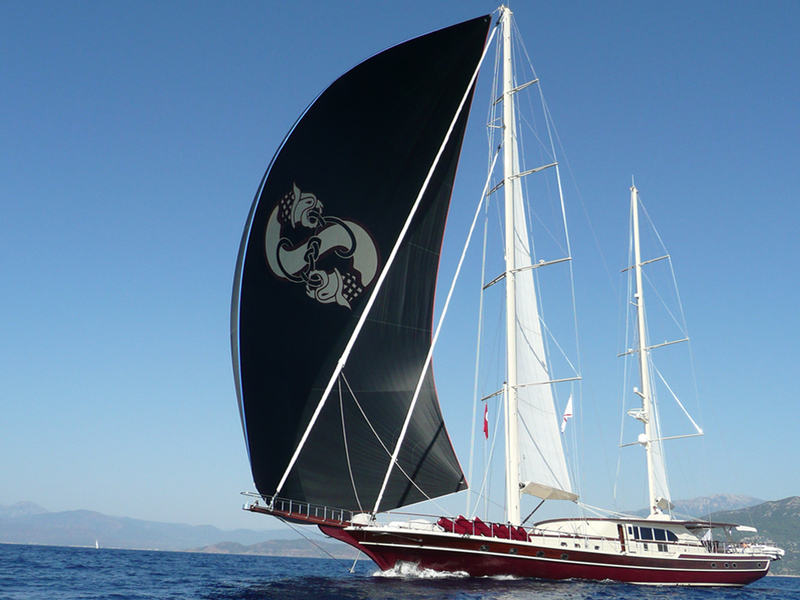 Yacht Daima is an intelligent mix of traditional Turkish Gulet design with a slightly more modern hull and superstructure. 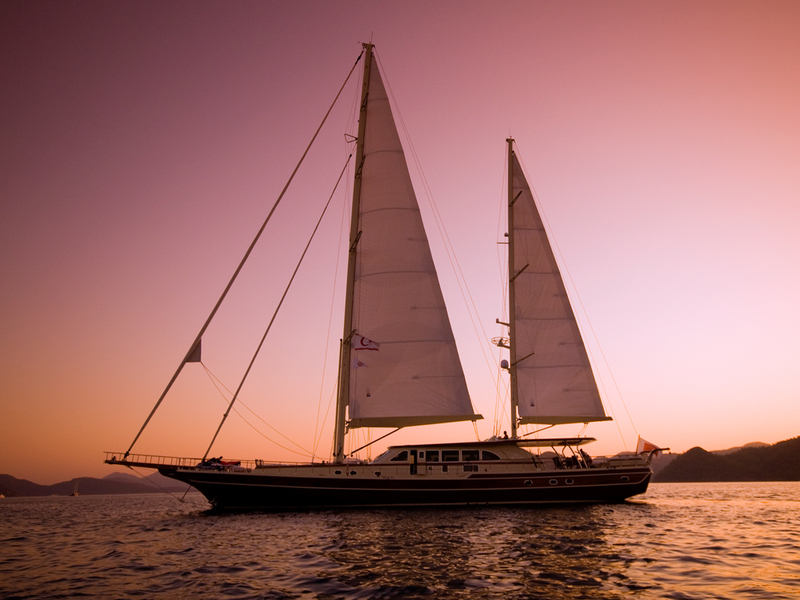 She is a custom built superyacht and she has advanced rigging and sails giving a powerful sailing performance in a relaxed an exotic Gulet style. 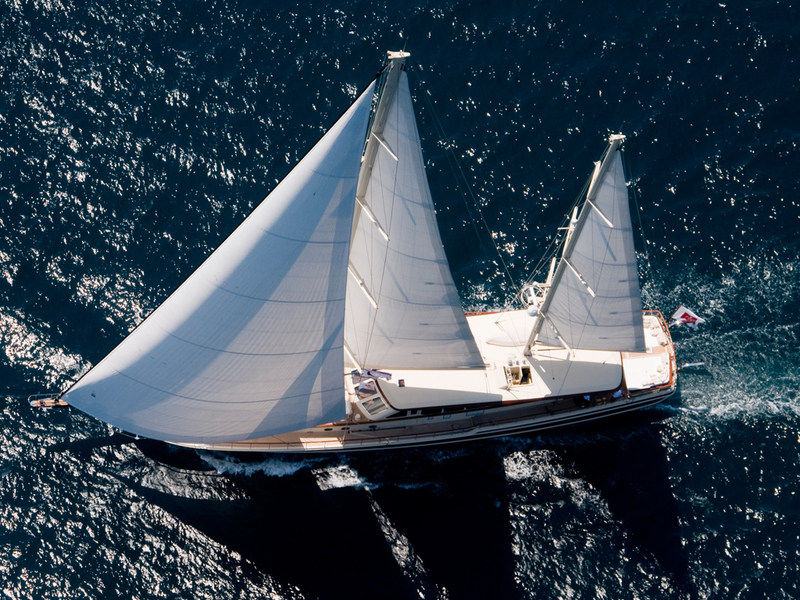 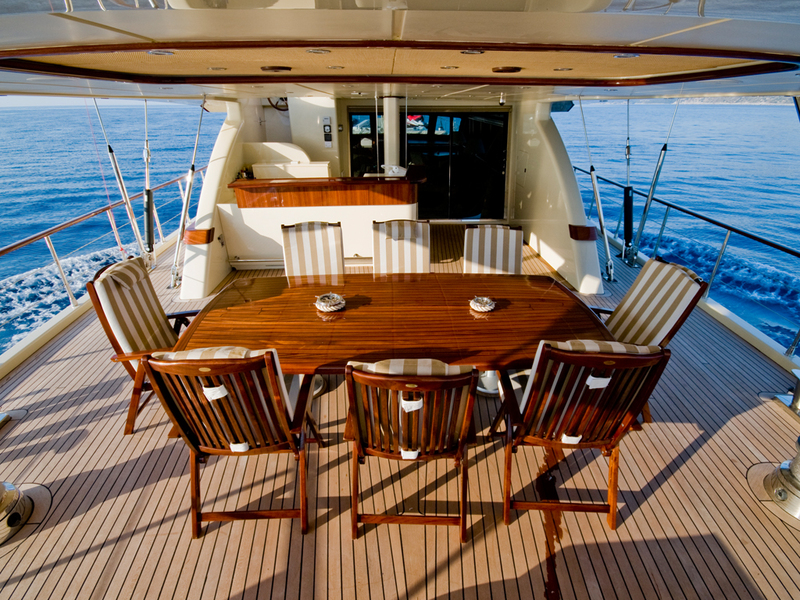 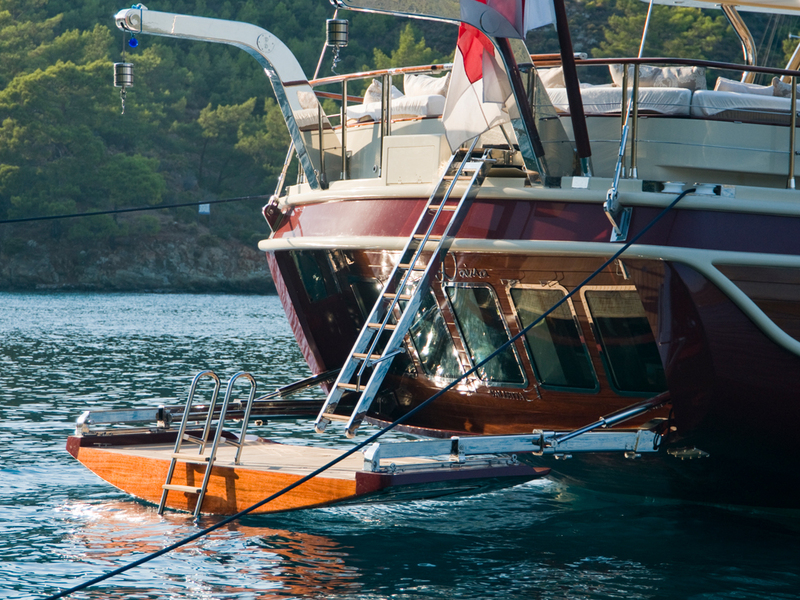 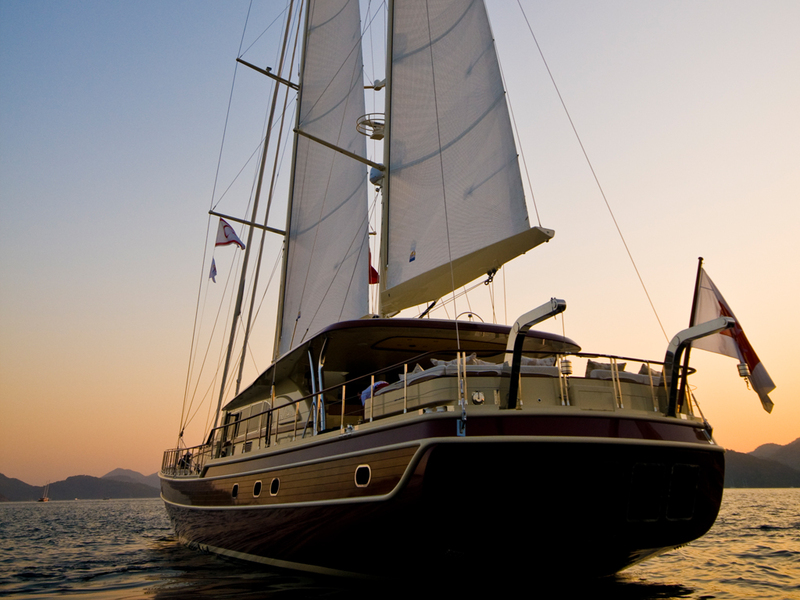 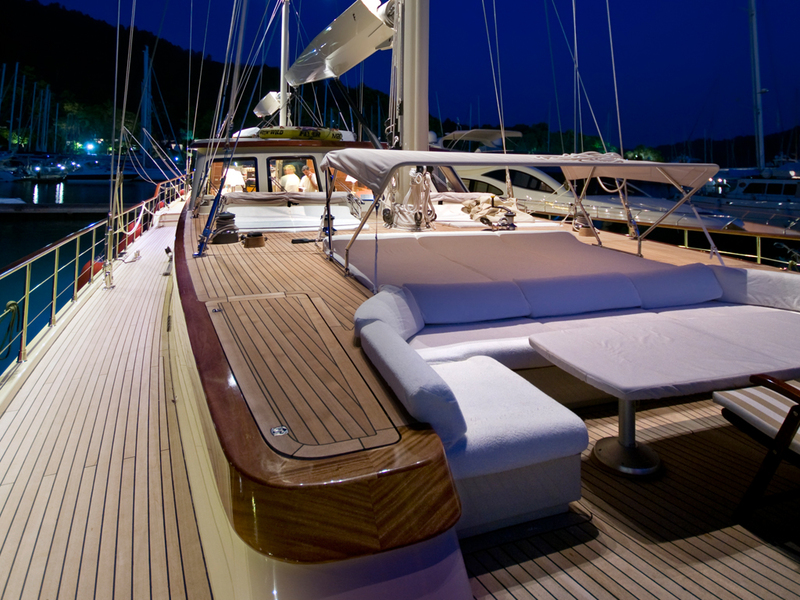 As seen in the images, S/Y Daima uses a lavish 920sqm Genaker and 730sqm working sail area. 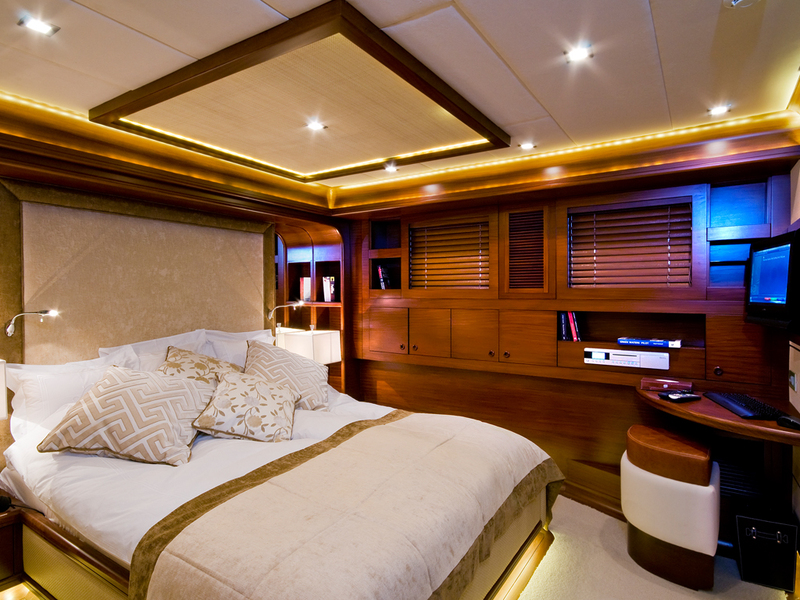 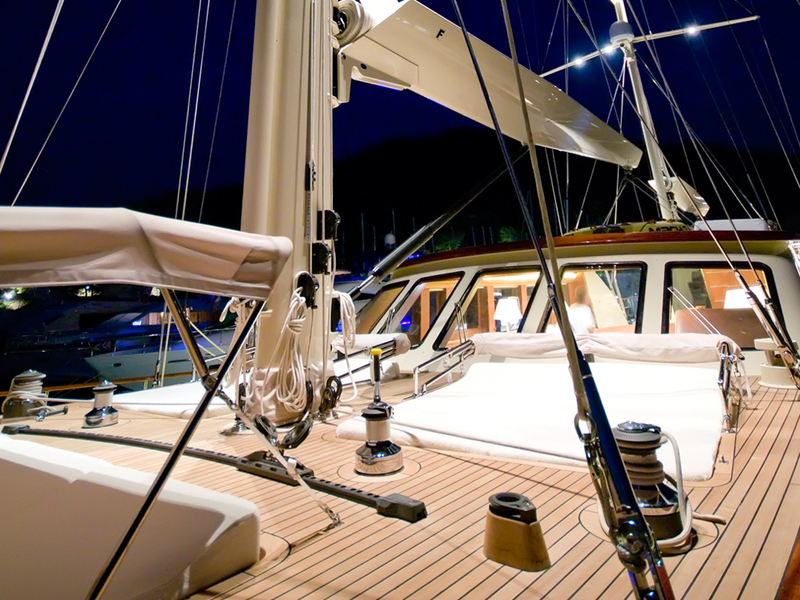 10 yacht charter guests and 7 crew members can sleep overnight in the yacht. 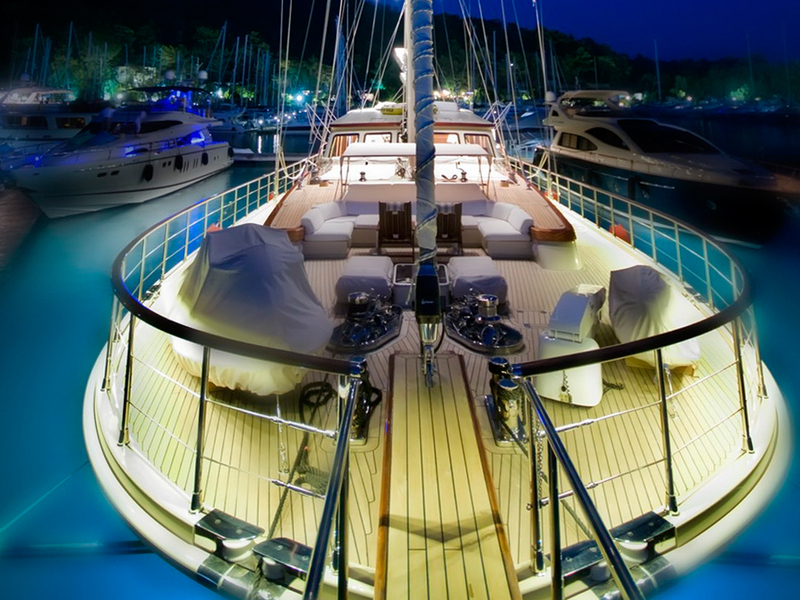 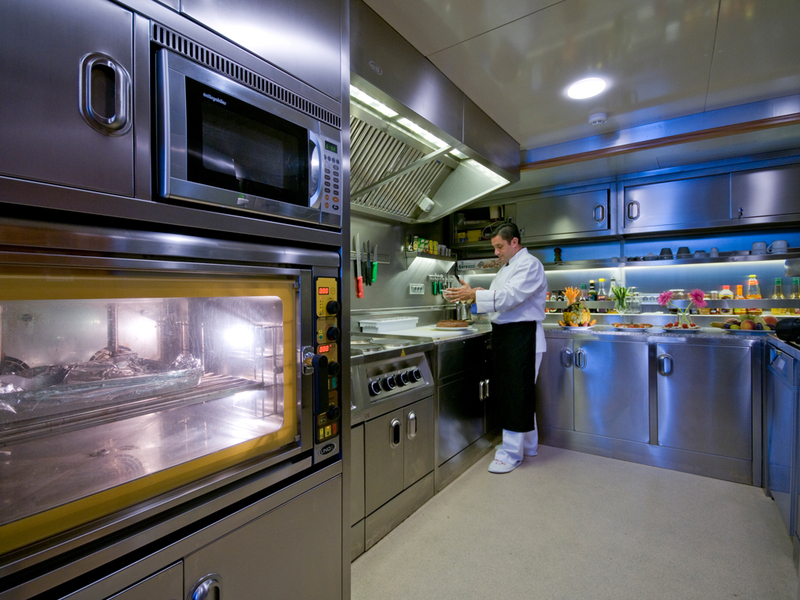 Superyacht Daima is fully air conditioned. 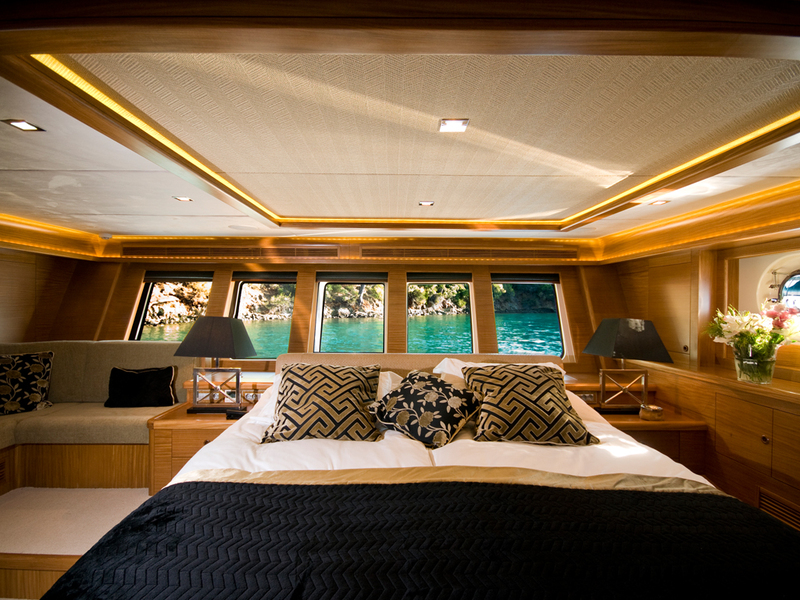 The comfortable yacht charter accommodation in Daima includes a full-beam master suite, a VIP double guest suite, another double guest suite, and two twin guest suites. 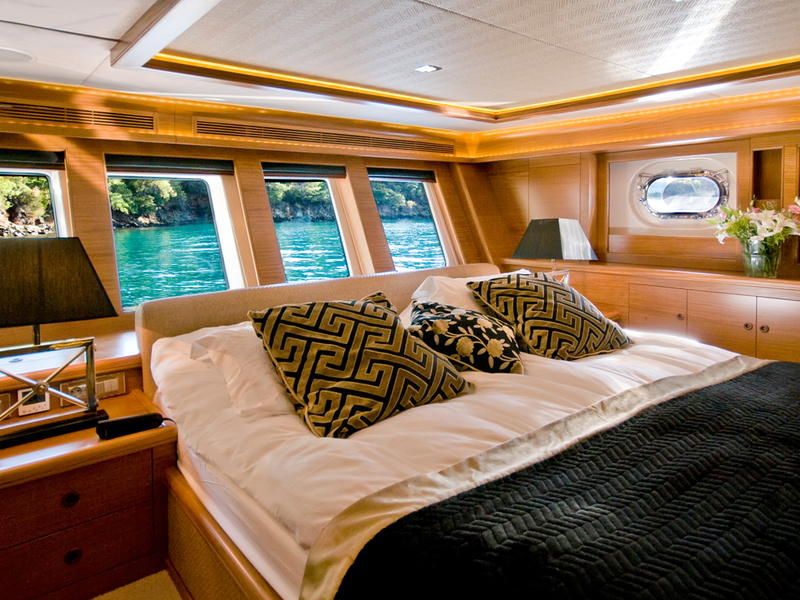 Gullet Daima has: Tenders & Toys Castoldi 17ft 160hp waterjet 2 Jet-ski Water-ski Snorkelling gear Fishing gear Audio Visual Equipment and Deck Facilities Each guest cabin is equipped with a flat screen TV and console to avail of the state-of-the-art entertainment and sound system (over 1,000 films to choose from), together with internet access and ipod point. 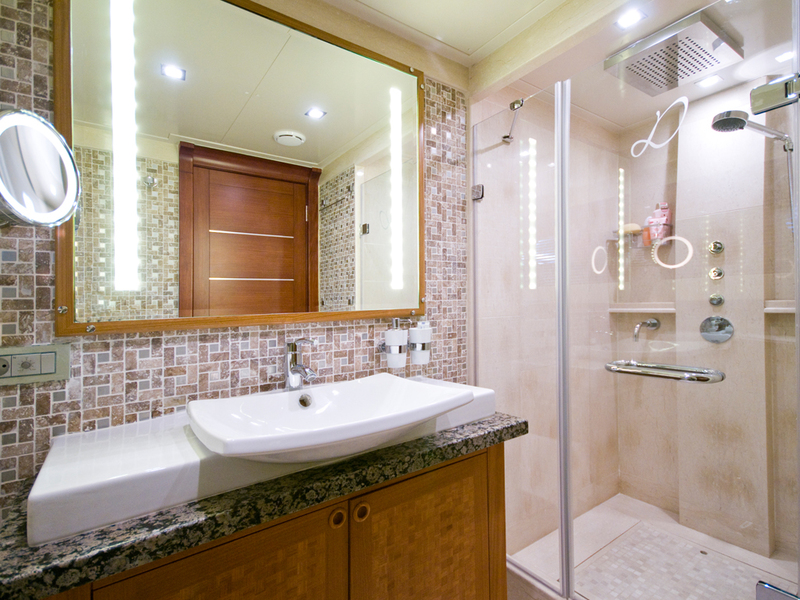 Each guest suite has its own mini-bar.